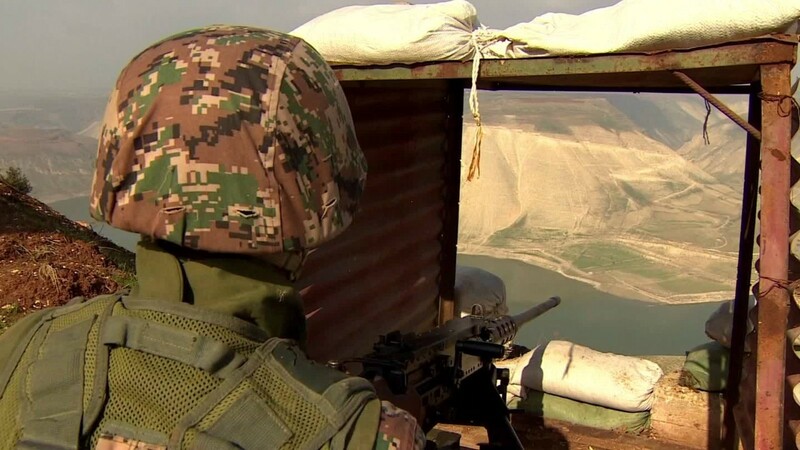 One of the major challenges for Jordan at the moment is the situation in the south of Syria. With the battle in Mosul coming to an end and final preparations for a confrontation in Raqqa, IS fighters and cells are looking for a new base within Syria’s borders and are being pushed further south. There is a real risk that southern Syria will collapse into complete chaos, with the terrorists’ logistics and support units, and IS fighters and operatives resettling in the southern border regions. 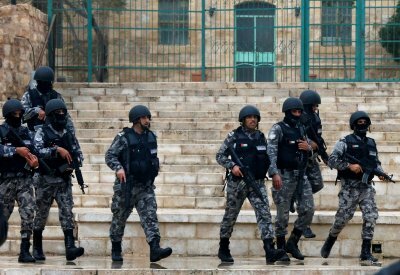 Jordan finds itself on the path to a situation where it is confronting IS operatives on its borders, which will not only increase the threat of terrorism, but criminality more broadly as well. Jordan is also seeing an increase of non-sate actors on its borders, especially those ideologically opposed to the political system. For many, the risk of these actors is equal to that of IS. These threats are not unlikely to result in traditional confrontation in the border regions, nor will they be a short-term challenge. The threat will spill over the border and requires a shift in the approach to dealing with terrorism to meet the new reality. Following Mosul and Raqqa, IS is changing its tactics, it no longer has a strong base of operations and will likely fall back to the insurgency model of operation. Jordan has no interest in putting its troops on Syrian soil. However, it needs to contain the approaching threat. As such, Jordan will continue to monitor developments in the southern border regions of Syria and keep its options open for specific and limited operations on the other side of the border to mitigate its risks as the US, UK and even Turkey does today. The strategy of dividing Syria into four “de-confliction zones” monitored by international troops works well for Jordan. It has the potential to avoid the southern part of the country collapsing into chaos and means that Jordan will not have to face the threat on its own. The strategy proposed by Russia, Turkey and Iran does not yet face US objections, which means that it may be the strategy going forward to achieve a ceasefire and begin the stabilization of Syria. The success of this plan is in Jordan’s interest, so it should work to include international actors to be part of the process. The more partners in the stabilization of Syria, the higher the potential for success and the lower the risk of threats crossing the border into Jordan following the fall of Raqqa. 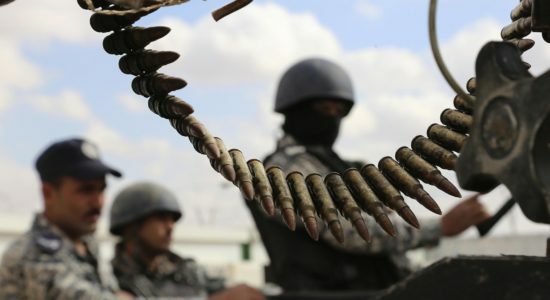 The Jordanian efforts in implementing the ceasefire in southern Syria are being challenged by several threats, predominately from the growing Hay’at Tahrir al-Sham “Organization for the Liberation of the Levant”. Last week a car bomb in al Yadouda in southern Syria left dozens of dead and injured. Some sources reported that a Jordanian terrorist known as “Abu Rayyan Al Ma’ani” conducted the suicide attack in in the province of Dara’a near the Jordanian border. The car bomb attack was one of several launched by terrorist groups aiming to escalate the situation in the south of the country and are creating chaos on Syria’s southern borders. This comes at a time when Jordan is increasing its efforts to stabilize the border regions by expanding the ceasefire and encouraging groups to join the political process. Jordan’s new role is likely to upset some of the groups in Syria as well as some countries in the region. Particularly since Russia has praised Jordan’s action in stabilizing the area and the mutual coordination in fighting terrorism. While many analysts have been calling for Jordan to play this role for a while now, it is not too late to reconsider options according to the new developments. For Jordan’s national security, it is imperative to have a reliable partner on the Syrian side to coordinate security issues. After the battle of Aleppo there are not many options for Jordan but we should be looking to open channels with the main protagonists in Syria, in this case Russia and the Syrian Army. 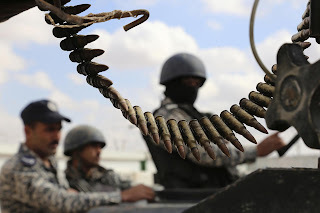 With a solid relationship of cooperation, Jordan can achieve strategic gains, however it could also put us in open confrontation with the terrorist groups operating in Syria and its cells everywhere. Despite this, Jordan’s objective must be long term, and with a focus on future strategic interest, make use of its political maneuvers to secure its interests. Jordan will not be alone in this fight, but taking an active role with partners in dealing with the implications of the battle for the south of Syria and the liberation of Raqqa will put us in a better position to plan and have a strong hand in solving the refugee issues. This will be extremely important, given some of the issues in the Rukban refugee camps and the potential threat they pose to Jordanian national security. Jordan’s new position will increase the chances of reopening the Jordanian –Syrian border, which would address many of the economic problems related to commercial and economic ties between the two countries going forward. By playing a major positive role in the south of Syria, Jordan could position itself well in rebuilding Syria that could lead to a revival for the Jordanian economy. In order to be more credible and succeed in achieving these goals, Jordan should start a process of change to be more credible on all levels. Are we ready for the new waves of Terrorism? 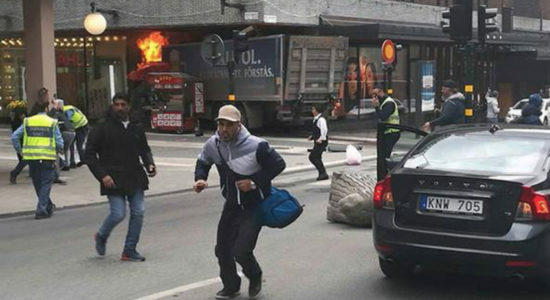 New regional waves of terrorism are targeting different countries in the region, mostly Turkey. After the call of the leader of ISIS ‘Al Baghdadi’ to attack Turkey, it is obvious that Turkey is becoming the chief target of the terrorist organization. 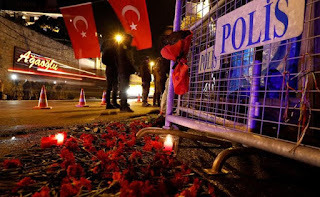 The night club operation in Turkey represents new challenges in encountering terrorism; the ability of the terrorist to eliminate the security personnel even the police; carry-out the operation, and escape the scene in a new style shows that this operation can be viewed as an “intelligence operation”. This recent methodology annotates an escalation in the level of sophistication of ISIS’s “traditional operations” but it also shows that the organization is penetrating the security system and social textile of Turkey; as it would be impossible for any terrorist to execute such an operation, escape the scene and hide within the same country without back-up and support from local protagonists. Nonetheless, it is important to notice that the regression of ISIS’s organization in Syria and Iraq, along with the recent shifts following the battle of Aleppo causes not just Turkey, but also Jordan to face series of challenges and dangers. First, the relocation of fighters from one front to other fronts intensifies the possibilities of individual operations and increases the organization’s desire to create new hot spots. Second, Jordan’s most critical challenge is the rout of the battles in Syria after Aleppo, in which its compass might point towards the Syrian Southern border, placing increasing pressure on the Jordanian border and raising the danger ratio of repeated attacks. In this case, repeated attempts that aim at striking the national security and creating an atmosphere of internal disputes will take place; the organization’s subjects seek to exploit and employ it to the best of their interests. Third, one of the prominent dangers of the next phase is characterized by the continuous regeneration of fighter cells and the activation of dormant cells that have been operating mutely during the past years, and have been able to build networks of allies in the areas in which they are located. Fourth, the arrival of these cells to the “individual working” phase; they will be isolated due to the fall of the central order of the organization. These cells might be seeking to apply individual actions that depend on the surprise element, and usually aim at causing the most damage with minimal costs. This means uncomplicated operations such as; shooting at a security officer, or striking a crowded area of civilians using primitive techniques. The increasing pressure on the fighters in Syria, and the Turkish borders being closed after Erdogan’s political shift might push the fighters into targeting new areas and finding exit routes from which they can use in order to escape this state of pressure. Thus, the challenges Jordan is facing are enormous. The alteration from having to deal with direct threats means that Jordan has moved into the open and direct confrontation stage with these organizations. 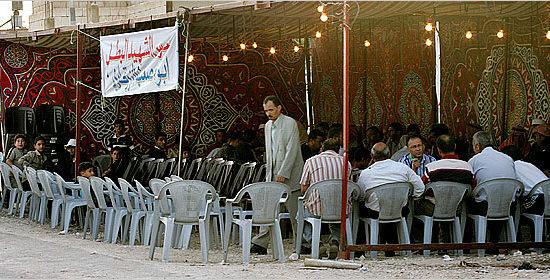 That is why Jordan has to change the framework and the system in which it deals with these organizations. 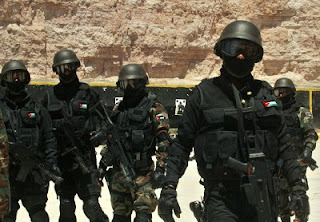 The graphic organizer of recent assaults that targeted Jordan indicates obvious increase in the configuration of the operations, their method and objectives but still the target, so far, is the security system not the civilians. This means that they should be dealt with in a strictly firm manner and in a method that foresees the coming confrontations in order to avoid any further dangerous and aggressive future threats. 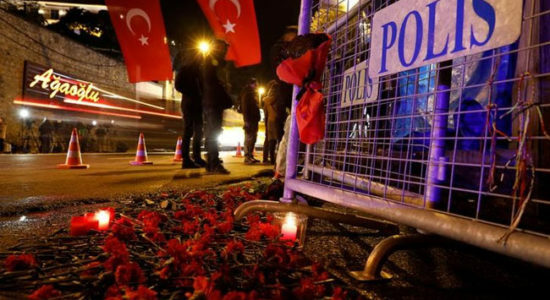 The remarkable shift in the method of the terrorist operation carried-out by ISIS in Istanbul, especially from the technical and tactical perspective, indicates ISIS’s shift in adopting a more complicated advanced approach, which could be classified as one of the intelligence operation in the form and the implementation process; particularly, in the assailant’s ability to carry – out the attack during vital timing: “New Year’s Eve celebrations” in spite of the warnings that had been released and the security measures that had been assumed in order to confront such danger. The most dangerous aspect, which marks an unprecedented occurrence, is that the attacker did not pursue a previous approach in his attack like blasting himself, or remaining on sight fighting until killed. On the contrary, he was able to flee the scene and go into hiding to this day. This data presented opens the door wide open for questions, specifically regarding the security challenges facing and will face Turkey, as well as other countries in the future. Particularly since the hypothesis of implementing an operation of this magnitude, in a well-known tourist attraction despite taking all security measures, indicates a highly penetrative ability of both security and community system. The ability of a person to carry-out such an operation is a sign that significantly indicates the presence of catalysts and internal incubators working to facilitate all phases of the operation: access, mission accomplished by shooting down the target, withdrawal and disappearance. The strike facing Turkey today occurs at a time when Turkey is reformulating its political positions; embarking on an era of transformations that initially started to appear by ending the battle of Aleppo and moving into the truce phase in Syria, and Turkey’s role in bringing many parties to the negotiation table. The successive security strikes also occur at a time when Turkey’s security system is going through a restructuring phase, after the futile military coup attempt, intensifying the complexity of Turkey’s mission and its ability to counter terrorism; apart from the political challenges and negative climates formed by the Turkish policy in recent years, which resulted in increased number of enemies and fewer friends and allies. Turkey has been trying very hard to recover from the dearth of tourism that started with the Russian fighter Jet crash and the absence of Russian tourist presence, as well as the destructive fallouts due to a number of terrorist attacks targeting European tourists, and then the bombing of Istanbul’s airport. All these were situations reinforcing a hiatus in tourism, and then came the latest attacks on Istanbul as a real blow to the Turkish economy and tourism, which have been drained dramatically lately. These developments should affect large Turkish strategic projects as well, especially in the transportation sector and airports’ projects that have been seeking to turn Turkey into the largest hub in Europe. 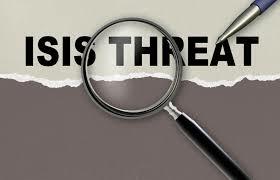 The issue of lack of security that is being rooted now will create a new reality of isolation difficult to overcome in the future; the security that has been being built for many long years could be lost in a matter of few months, especially when civilians are the main targets of terrorist attacks; not just the security forces. The security reading regarding the attack on Istanbul indicates a remarkable shift in the nature of the operations implemented by the organization of ISIS, which still rotates around similar traditional operations, but that incorporates far more complicated planning and technical dimension. Accordingly, the world might be facing more intricate and sophisticated operations in the imminent future. The degenerating presence of ISIS on the Syrian and Iraqi soil forces the group to adopt a new strategy that aims to compensate its losses, offers the impression that it still retains its strength, and that it is still able to hit everywhere. Moreover, it is vital for the group to seek creating new climates that form attraction points for its members departing Syria and Iraq. The logical interpretation of the incidents in the city of Karak indicates the possibility of these operations being linked to a central decision, which means that the cell might not be an individual one. It might be a cell that works according to group’s methodology and strategy. 1- A moral blow to the state security system by displaying its inability to protect its tourist attractions. 2- Taking advantage of the rapid speed in which news spreads through media in case of an assault on a historical landmark and tourist attraction. 3- The possibility of foreign tourists being present in these areas, which gives the assault a global dimension. 4- These assaults also aim at inflicting economic blow on the country that is dependent on tourism as its means of income. It also creates atmosphere of angry citizens of the area, who are harmed by the dearth of tourism, or the poor economic situation that accompanies such circumstances so that they can exploit it later on in the future. Henceforth, the strategy that entails striking tourist areas is found to be the most effective and successful policy for many groups today. organization’s subjects seek to exploit and employ it to the best of their interests. Third, one of the prominent dangers of the next phase is characterized by the continuous regeneration of fighter cells and the activation of dormant cells that have been operating silently during the past years, and have been able to build networks of allies in the areas in which they are located. Fourth, the arrival of these cells to the “individual working” phase; they will be isolated since the fall of the central order of the organization. These cells might be seeking to apply individual actions that depend on the surprise element, and usually aim at causing the most damage with minimal costs. This means uncomplicated operations such as; shooting at a security officer, or striking a crowded area of civilians using primitive techniques. The increasing pressure on the fighters in Syria, and the Turkish borders being closed might push the fighters into targeting new areas and finding exit routes from which they can use in order to escape this state of pressure. Thus, the challenges Jordan is facing are enormous. The alteration from having to deal with direct threats means that Jordan has moved into the open and direct confrontation stage with these organizations. 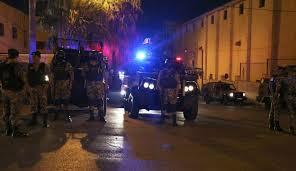 That is why Jordan has to change the framework and the system in which it deals with these organizations. 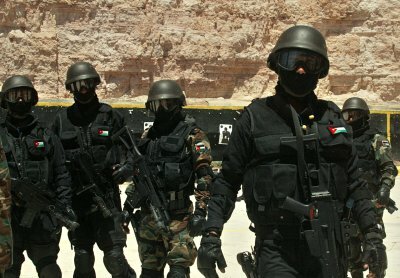 The graphic organizer of recent assaults that targeted Jordan indicates obvious increase in the configuration of the operations, their method and objectives. This means that they should be dealt with in a strictly firm way and in a way that foresees the coming confrontations in order to avoid any further dangerous and aggressive future threats. DE-radicalization is at the top of the agenda for stakeholders, donors and the Jordanian state. We are seeing multiple projects, speeches, conferences and workshops trying to address the issue and find a workable solution. While theories and proposals are to be encouraged, it is important that we begin to implement and trial some of these and move from theory to application..
Deradicalization is a process of change, and any such process should start with a comprehensive understanding of the underlying issues and clear objectives and outcomes. We must understand why it is that deradicalization is required. The level of radicalism that we are facing today is the result of a process that has been progressing for a long time, one that, on the whole, we have been blind to. In order to learn from the past and move forward, we have to be honest about all aspects of the issue. We must understand and acknowledge that this is a complex issue and we need innovative thinking and people with a broad range of expertise. The issue is not just religious, there are cultural and economic aspects, and we need to bring people together, make them feel connected to each other and society to appreciate their existence and their neighbors. We must promote dignity and respect while reintegrating people to participate in building their own future and become productive for society. We cannot continue to theorize, we need to intervene on the ground with practical measures. From here, concrete projects are more important than debates and conference. When we identify places with high levels of radicalization through polls surveys and studies, we must intervene. Playgrounds, parks, cultural plans, and programs that promote and enable artistic endeavours such as drawing, music, theater and cinemas are great ways to engage otherwise marginalized populations. We need microeconomic projects to intervene and break the cycle of radicalization. Improving quality of life, giving them hope for the future can be achieved by engaging them in art and culture. This is what we need to engage and involve people in creating this change. We need to stop relying so much on the narrative that moderate doctrines can address radical Islam. Real change will come from cultural change, enhancing the concepts of pluralism, diversity and respect for others with real and practical programs on the ground. We can only face radicalism by adopting a comprehensive multilateral strategy. The role of the state is essential. The absence of an active role in providing services and social justice is part of what has fostered the evolution of radical thought. We have also failed to accept the signs of increasing radicalism, but we must act. When a cinema in Zarqa was targeted by terrorists back in 1993, we responded with security measures, but ignored the underlying cause of the problem. That we didn’t protect cinemas and other cultural institutions means the terrorists have already won. 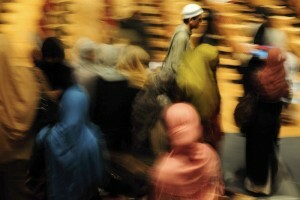 The more that cultural institutions are targeted, the less people will attend them, which is exactly what we have seen. The more prevaricate and pontificate, the more difficult and the more embedded the issue becomes. As radicalism expands and recruits more of our society, the more we face the risk that they will infiltrate all aspects of society, civilian and military. We must act before that happens. The time for talking and theorizing is over. We must face this scourge with action and we must do it now.